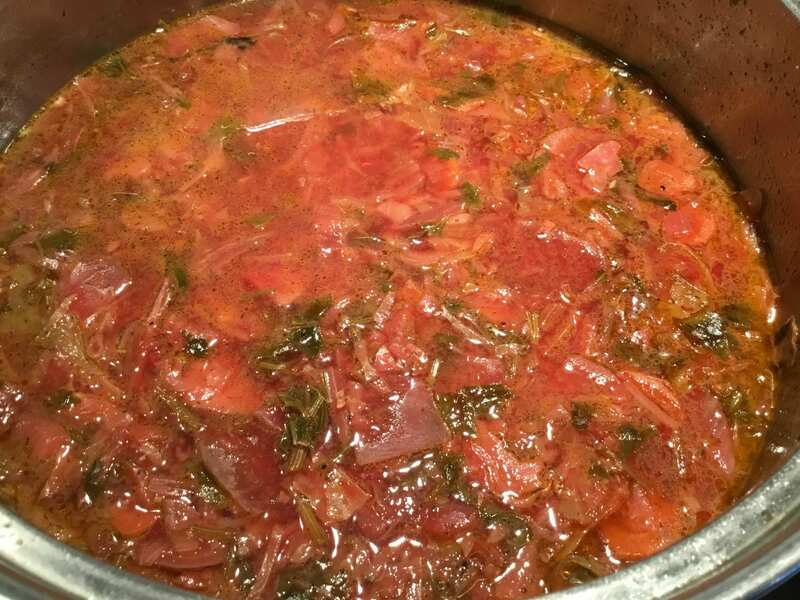 So I just couldn’t find a Borscht recipe that encompassed all the flavors and vegetables that I wanted in this “ must eat” comfort soup for these recent frigid temperatures! 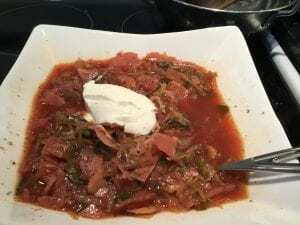 My Spicy Loaded Vegetable Borscht is the answer to keeping warm this winter! I’ve used a few unconventional seasonings in my version of Borscht, such as Berber spices and Harissa as well as the traditional caraway, cumin and dill to make this soup interesting! My Spicy Loaded Vegetable Borscht is a fusion of heat, flavor and ethnicity! a glass of wine and wait till this weather blows over! Keep Warm! Serve with crusty bread and Wine, ENJOY!! Carole Cooper formerly of Seacoast Natural Foods of San Diego, California has with her husband Geoffrey served in the Natural Foods Industry for over 30 years and currently the couple own and operate Seacoast Cottage in the Upper Peninsula Of Michigan on the shores of Lake Superior! Save 15% on CBD Oil by entering coupon code Sea15 at checkout!